Universal Fitment for Motorcycles, Cruisers, Sport bikes, Scooters, etc. 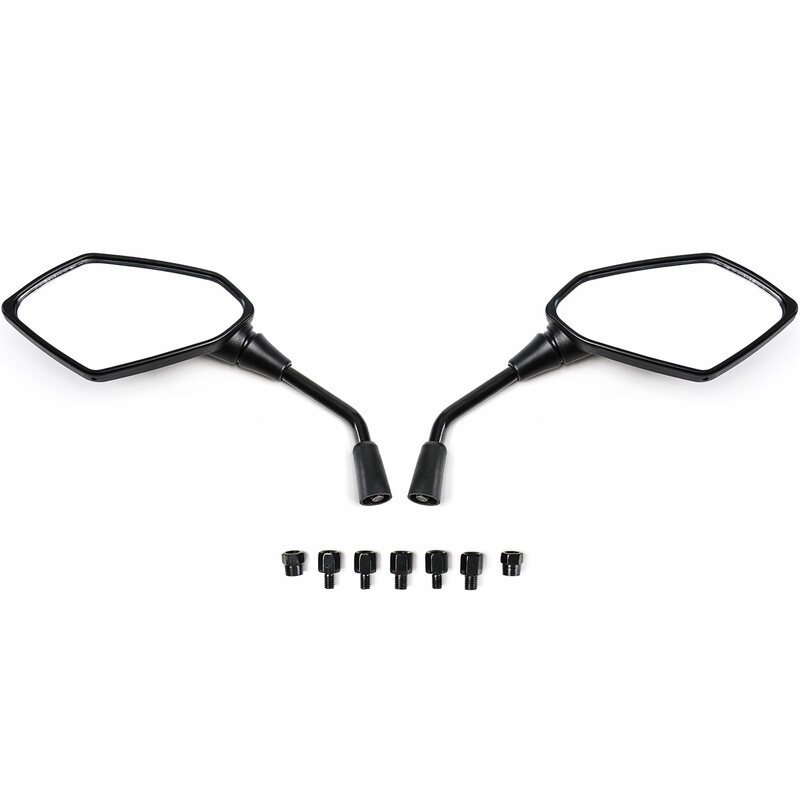 Universal mirrors will fit the vast majority of motorcycles including Honda,Suzuki, Yamaha, Kawasaki, etc. Important Please Read: Please confirm measurements and fitment on your vehicle before purchase. Modifications may be required. All measurements are approximate.